You’re probably sitting here reading this without realizing how huge of an impact the right hypothyroid diet can have on your health and energy level. Most people are quite mistaken when it comes to hypothyroidism and they actually believe that there’s some magic pill out there that is going to solve their problems. So, any chance they get, they grab what some doctor or celebrity is pushing without realizing that these doctors and celebrities have a far greater interest in cashing their endorsement check than they do in you actually getting the results that you deserve. So, what does this have to do with a hypothyroid diet? You need to understand that without the right hypothyroid diet, your thyroid will not heal, no matter what magic pill you take. If you continue to eat foods that are full of thyroid suppressing toxins then nothing is going to compensate for the damage that you are doing to your thyroid and your hypothyroid symptoms will continue to affect your day to day life. And yes, you are damaging your thyroid every single day. You might be well aware that polyunsaturated fats have been praised for decades as the “heart healthy” fat that is going to save you from heart disease and protect you from all those deadly saturated fats. Well, you might NOT be well aware that this is one of the biggest lies of our time and polyunsaturated fats should be avoided at all costs in your hypothyroid diet. In fact, there was never any real scientific basis to make this claim. Originally, this claim was made because farmers found that polyunsaturated fats were very effective at fattening their livestock making them even bigger ad fatter in shorter periods of time. This was great for farmers because the fatter the animal, the more money they made. Those who stood to profit from promoting polyunsaturated fats proposed the ridiculous idea that because these fats accelerate growth, they must be healthy. What they didn’t tell you was that while it did accelerate growth, the livestock were suffering from serious health problems and the farmers were struggling to keep them alive long enough to slaughter. 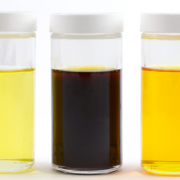 Well, what do we see today now that these polyunsaturated fats are being widely used? Let’s see… We’re seeing more and more obese people and at younger and younger ages while suffering from major health problems and struggling to stay alive. It’s a mirror image of what happened with these livestock but for some reason, we are walking around scratching our heads wondering why people are so unhealthy today. It’s time you start taking your hypothyroid diet seriously. 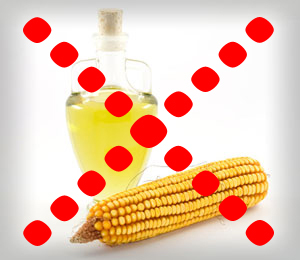 Maybe the fact that polyunsaturated fats also kill your brain cells is playing a factor… who know? Polyunsaturated fats are one of the most important foods to avoid on your hypothyroid diet because they actually suppress your thyroid on 3 different levels making them one of the most problematic foods for your thyroid. For starters, they effectively suppress your thyroid gland from secreting the thyroid hormone that your cells need to produce the energy that you need to make it through your day. But to make matters worse, they also block the transport proteins within your bloodstream which are necessary to take your thyroid hormone and deliver it directly to your cells. So, this means that your cells are not even able to get the little thyroid hormone that your thyroid is producing. To top it all off, these polyunsaturated fats actually impair your cells from efficiently using thyroid hormone. So, your cells aren’t even able to efficiently use what little thyroid hormone they can get their hands on. It gets even deeper than that but I hope you get the picture and understand why polyunsaturated fats must be removed from your hypothyroid diet. I’m sure you’ve heard of soy or many of the food products that are made from soy such as tofu. In fact, soy is considered to be a “health food” in many circles. Even the Food and Drug Administration (FDA) has praised soy as a health food. The use of soy as an alternative plant based protein source has become quite popular within the vegetarian and vegan communities who choose not to consume animal products or proteins. But is it really healthy? Much like polyunsaturated fats, science has shown time and time again that soy comes with some major health risks which are completely swept under the rug. In fact, it’s been wrongfully praised for properties that actually suppress your thyroid, all because people don’t understand the true effects of soy. Needless to say, soy is another food that you need to cross off your hypothyroid diet and never consume again in any form. Soy, as well as all legumes, have very estrogenic properties and can cause the buildup of estrogen to occur in your body. Many doctors have wrongfully praised soy because they believe that estrogen is the answer to female hormone imbalances, especially around menopause. While they are completely wrong, that’s a whole other topic for a different time. When you consume soy and other legumes, all of which are estrogenic, as part of your hypothyroid diet the estrogens are effective at blocking your thyroid gland from being able to release thyroid hormone. This results in the buildup of thyroid hormone which eventually causes a goiter to form or in many cases, causes Hashimoto’s Thyroiditis. This also has some greater implications as once you create a condition within your body of excess estrogen, this hormonal balance not only causes hypothyroidism but will continue to inhibit your thyroid long term. This is why the vast majority of cases require a well designed hypothyroid treatment plan to correct the associated hormonal imbalances before your thyroid can begin to function properly again. You’ve been told since you were a kid to “eat your veggies”. But what if not all veggies were actually healthy for you? Yes, there are actually a number of veggies that should be avoided on any diet for hypothyroidism, believe it or not. 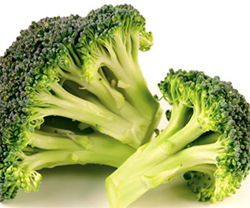 Some of the most commonly used veggies are of the cruciferous variety. Vegetables like broccoli and cauliflower which may seem harmful or even a fun snack idea, actually contain thyroid inhibitors that block your thyroid from functioning properly. This is why you have to very careful before deciding to eat raw veggies which are also highly touted within the vegetarian and vegan communities. Cooking these cruciferous vegetables does help to break down these thyroid inhibitors but they need to be cooked very well done and still should not be the focus of your hypothyroid diet. Just remember that no amount of a bad thing can ever be a good thing. The right hypothyroidism diet is oftentimes the difference maker between those who get real and permanent results with healing their thyroid and those who see glimmers of hope that quickly fade as they end up right back where they started, or worse. Keep in mind that these 3 top foods to avoid on your hypothyroid diet are really just the tip of the iceberg. 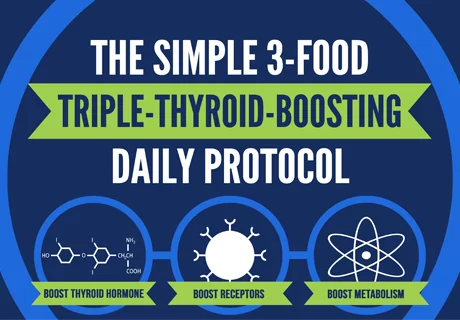 But DO NOT take them for granted because these 3 foods alone can cause serious detrimental damage to your thyroid and you can achieve some significant relief with these simple and minor changes to your hypothyroid diet. Is olive oil ok to consume ? Olive oil is OK but I don’t recommend using a lot of it and it should never be heated.